Operated by one of Cebu’s top club golfers, Atty. Jovi Neri, you’ve got to visit this website if your sport involves walking on grass, swinging a driver, smothering an 8-iron, and caressing a putt. Check out photos. Read blow-by-blow stories. Reminisce on tournaments from last week, last month, last year. 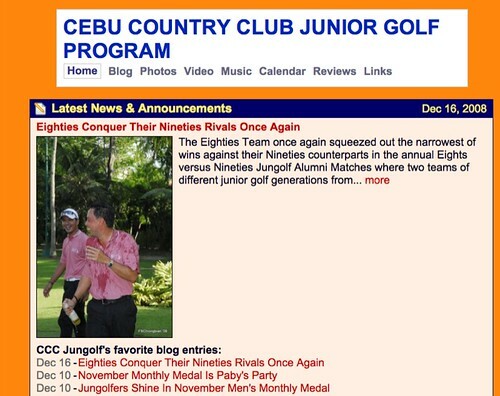 Visit the Cebu Country Club Junior Golf Program website here.